BANGKOK: The Digital Economy Promotion Agency (Depa) from Thursday (Feb 1) will start verifying Smart Visas for experts and investors in startups and digital business, offering a four-year work permit. From left Depa's Nattapon Nimmanpatcharin, Ajarin Pattanapanchai and Teeranun Srihong at the opening of Asia Digital Expo 2018. 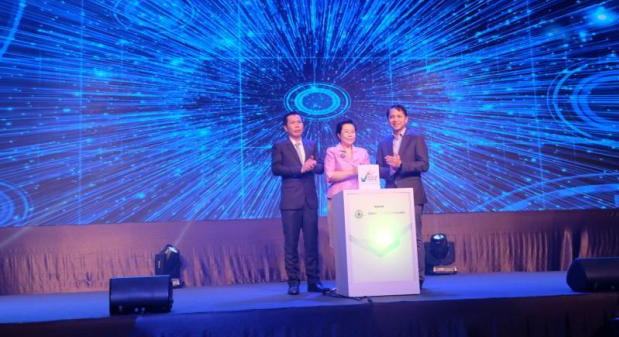 “Depa will verify qualified persons for the Smart visa, an initiative approved by the cabinet to reduce the shortage of experts and accelerate the digital transformation towards Thailand 4.0,” said Depa Director-General Nattapon Nimmanpatcharin at a launch event last week. Speaking at Asia Digital Expo: Digital Transformation at Queen Sirikit National Convention Center, Mr Nattapon last Thursday (Jan 25) said Depa is authorised to verify experts related to digital technologies and startups. The third is investors who are interested in Thailand, particularly in the 10 S-curve sectors, for which Depa will be responsible for the digital sector. A minimum investment of B20 million is required. The fourth is high-level executives in “S-curve” sectors. Mr Nattapon said Depa will ask the Cabinet to approve B1.6 billion this month to set up an Internet of Things institute in the Eastern Economic Corridor.